You can buy ready covered cord, but with our simple guide you can learn how to make piping in any colour you want. 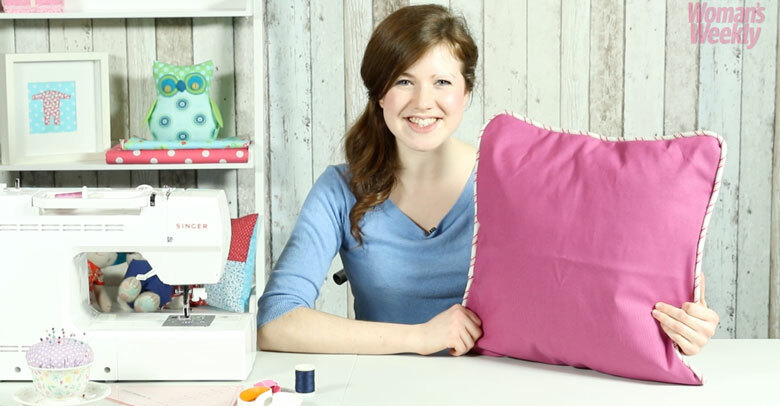 Once you’ve made your piping, have a go at sewing our gorgeous envelope cushion cover with piped edging. For the piping: cut the fabric on the bias by folding your square of fabric in half diagonally and cutting along the fold so you have two triangles. Using dressmaker’s chalk, mark 5cm in from the raw edge and then cut along this line. 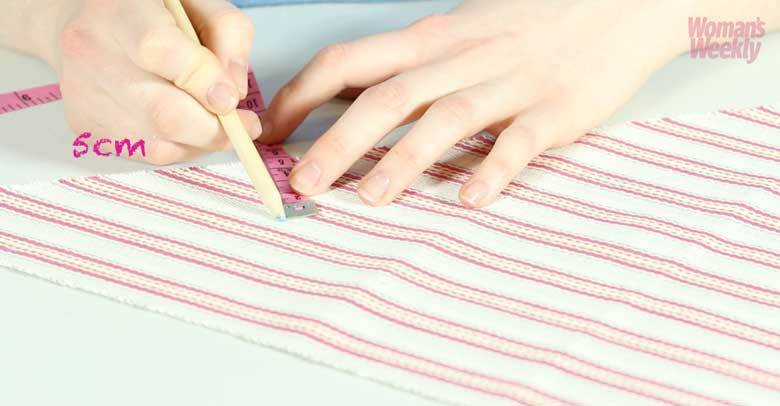 Continue to cut strips until you have enough to go all the way around your cushion. For the cushion cover: cut out a square measuring 48 x 48cm for the front panel and two rectangles measuring 27 x 48cm and 37 x 48 cm for the back panels. If you’re using a different size cushion pad, measure the length and width of the cushion. For the width of the cushion add 3cm for a seam allowance and for the length, double this width and add 10cm to allow for the envelope overlap. Transfer these measurements to your fabric using a ruler, dressmaker’s chalk and a setsquare to get an absolute right angle. 1. To join the bias strips together, trim the short ends so they are all squared off. Take two strips and with right sides facing, pin where the short ends overlap at a right angle. 2. Use some dressmaker’s chalk to mark a 45 degree angle across the overlapping fabric and machine straight stitch along this line. Trim the excess and press the seam open. Repeat with all the strips until you have one long piece. 3. At one of the short ends, fold the fabric under by 3cm and pin in place. 4. Insert the piping cord 3cm in from the strip’s folded end and begin folding and pinning the bias strip over the cord lengthways so that the raw edges meet and wrong sides are facing, sandwiching the cord. 5. Using a zipper foot, sew along the raw edge of the strip, close to the cord to secure it in place. 1. Take the two back panel pieces, sew a double hem along one of the long edges of each piece. Fold the fabric over by 1.5cm and press, then fold the fabric over the previous fold by another 1.5cm, press and pin in place. 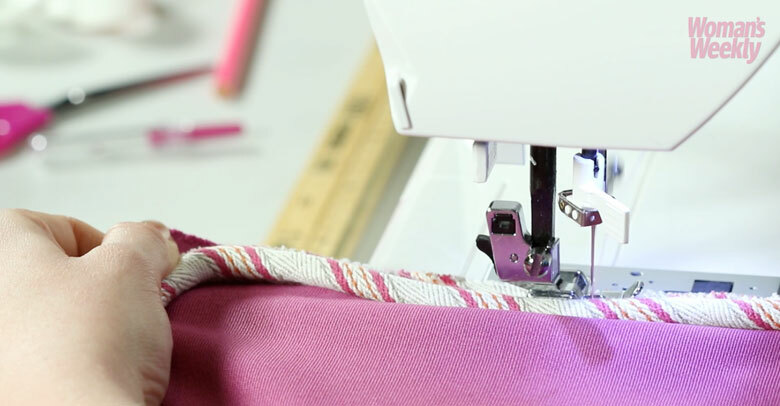 If you’re worried about using your sewing machine with the pins in, tack the hem before machine straight stitching on the right side of the fabric. 2. Pin the piping to the front cushion panel by matching up the raw edges with right sides together. Where the piping overlaps, trim the cord back so that the ends meet and wrap the trimmed cord with the folded end of the fabric. Pin in place. 3. 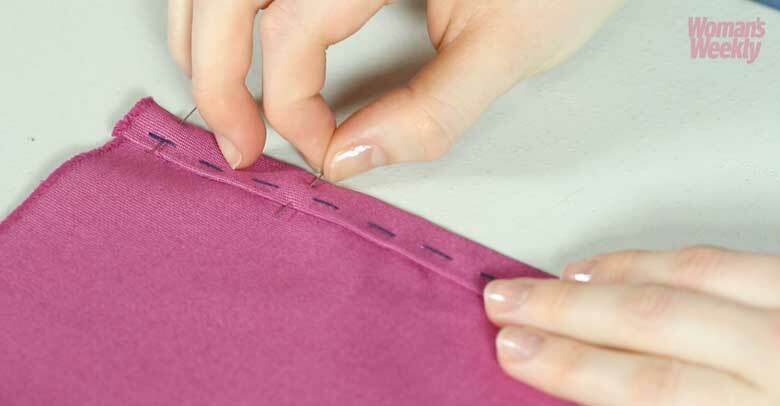 Use your zipper foot to straight stitch around the edge of the piping. When you get to the corners, lower the needle and lift the foot to turn the cushion panel making it easier to sew in a curve. 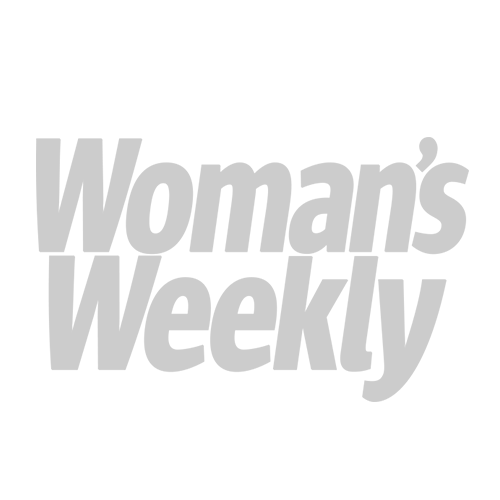 Snip into the piping cord’s seam allowance to help the piping cord lie flat. 4. With right sides facing, pin and tack the cushion panels together so that the two back panels overlap by 10cm to create an envelope opening. 5. 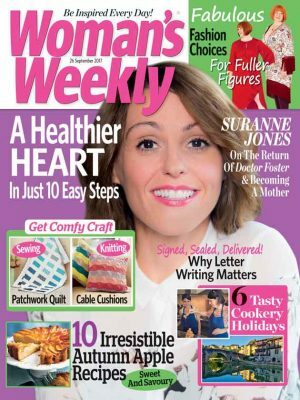 Use the zipper foot and a straight stitch on your sewing machine to sew all four sides of the cushion together with a 1.5cm seam allowance. 6. Clip the corners, turn right sides out and there you have it!